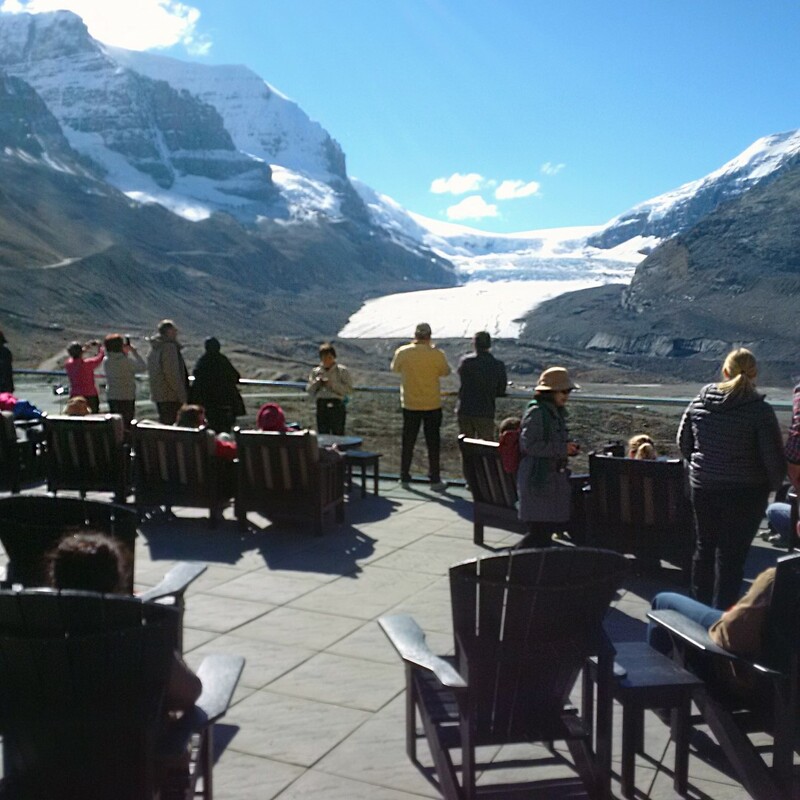 THE DISCOVERY CENTRE IS THE STARTING POINT FOR VISITORS EXPLORING THE ATHABASCA GLACIER AND HOSTS RESTAURANTS, A SHOP, INFORMATION AND AN ACTIVITY CENTRE. After decades of service, the viewing podium at the Centre was experiencing leakage into the newly developed theatre space beneath. 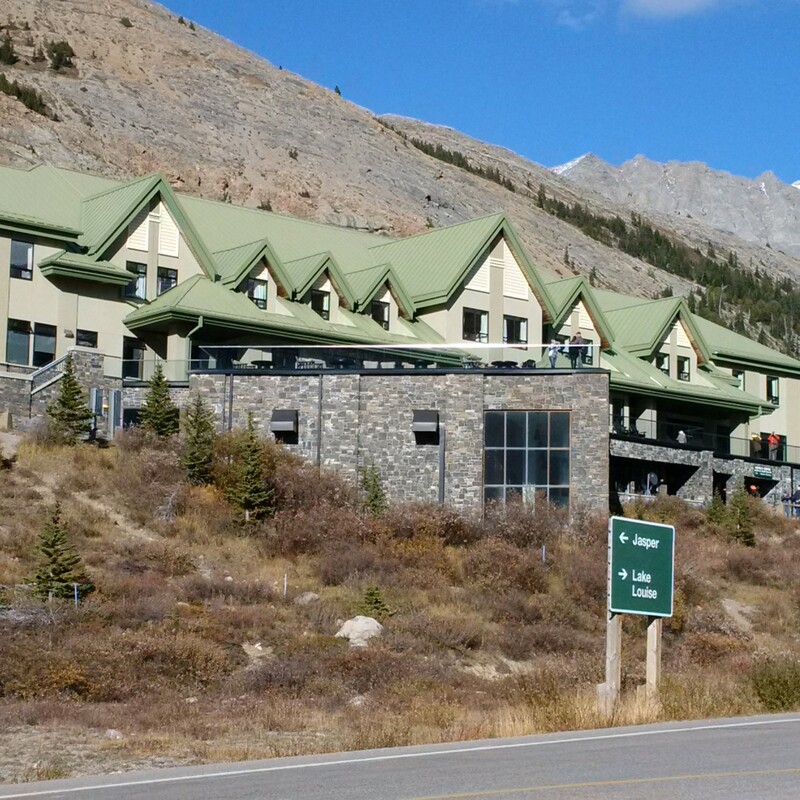 Parks Canada along with Brewster Travel Canada required a solution that would respect the Alpine architectural elements while providing the requisite building science and structural repairs to both protect the major investment in this pre-eminent tourist attraction and enable the repairs to be carried out off-season in a harsh environment. Challenge: Working with Krawford Construction, we conducted exploratory investigations to allow us access to concealed aspects of the building assemblies. Fortunately, the leakage had not yet compromised the steel structure beyond surface corrosion. The existing waterproofing membrane was found to be debonded from the concrete deck and the negative slopes involved prevented water from reaching the perimeter eavestrough system. 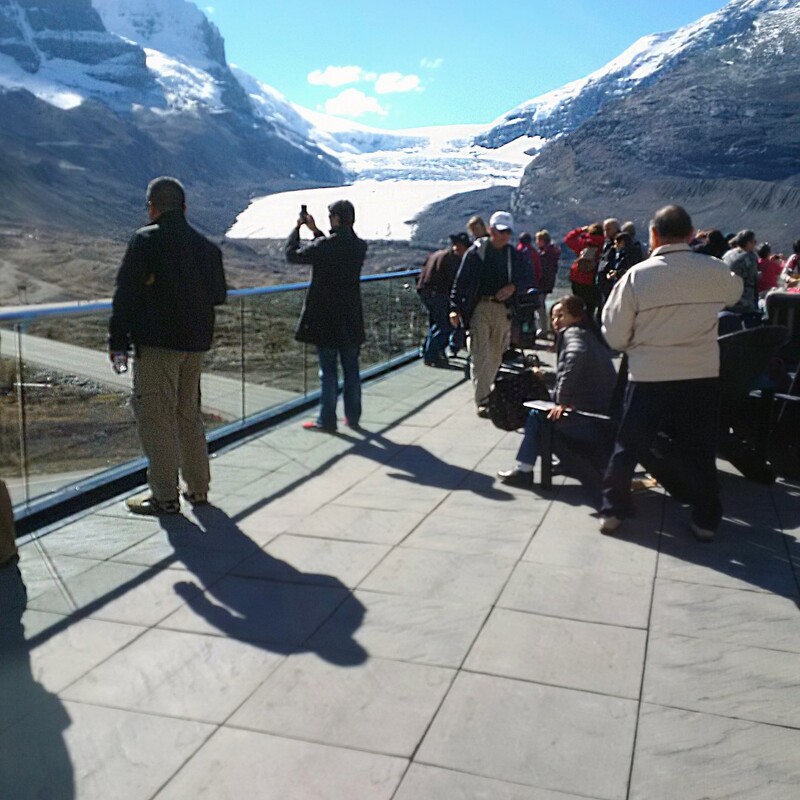 The existing stone and wood guard-rail assembly, which had been constructed out of Rundle stone and block, had also degraded. Solution: The corroded structural steel components were cleaned to bright steel and then coated. A new two-ply modified bitumen waterproofing assembly, complete with slope and rigid XPS insulation was installed and connected to a new concealed eavestrough system. 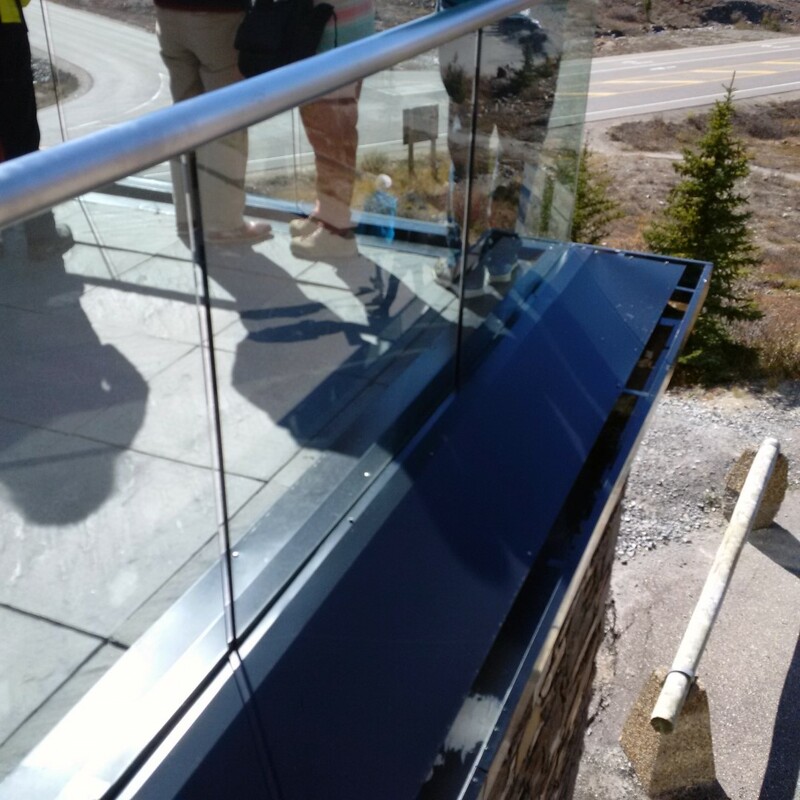 Finally, a new aluminum and laminated glass guard-rail was installed.